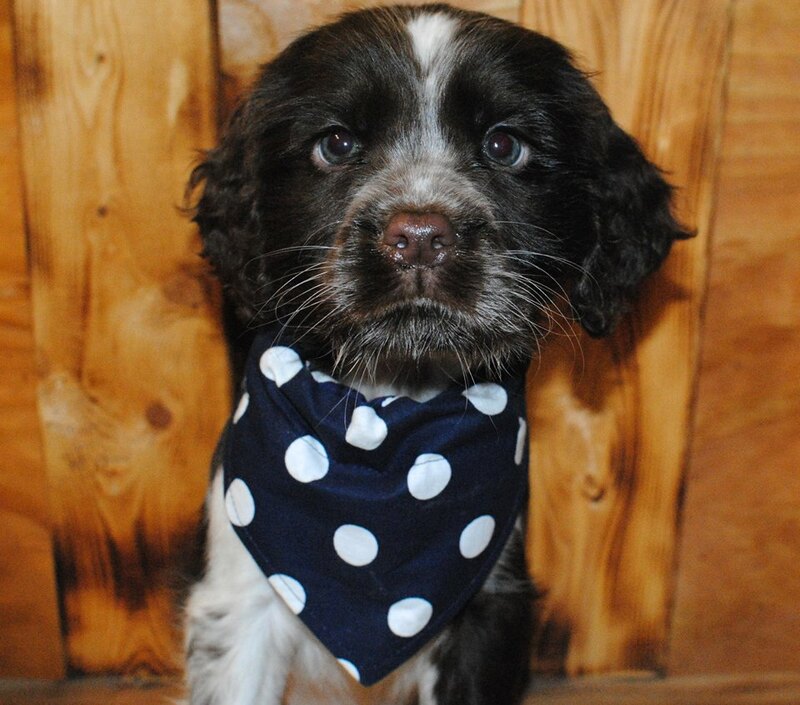 Our first love was the English Springer Spaniel. They are the most loving and loyal dog a person could ever ask for! 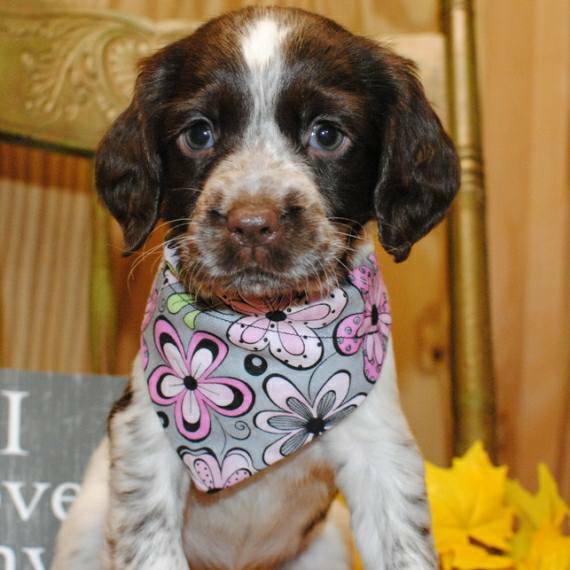 English Springer Spaniels are sociable, even-tempered, friendly, and gentle dogs that are wonderful with children. They are known for their willing, obedient, intelligent, playful, energetic, and skillful natures. They are cheerful and will meet anyone with a happy wagging tail. Springers like to be around people as much as possible, and may get themselves into trouble if left alone for too long. They do well with other pets, with one notable exception: birds (they are natural bird hunters). They love the water and are notorious for getting themselves wet and muddy. Springers need guidance and a soft, firm hand in training to prevent them from becoming destructive or overactive. Adult males tend to be 19-21 inches tall and weigh around 45-55 pounds. Adult females are generally 18-20 inches tall and weigh about 35-45 pounds. The English Springer Spaniel dog breed can do very well in an apartment setting as long as they receive sufficient exercise. They adapt well to city or town life, and are mostly inactive inside. Dogs enjoy as much exercise as you can give them and are happiest if they have the chance to play and run off-leash. They love to swim and retrieve, and need at least a long daily walk to stay healthy. Well-cared for dogs can be expected to live 12-14 years. The following photos demonstrate the difference a few months can make concerning the appearance of a roan marked English Springer Spaniel. Although a puppy may look a certain way during their first few months of life, they can develop ticking and roan markings that change their appearance entirely. They are beautiful dogs, indeed. Enjoy! Ivy, one of our future mommas, at 8 weeks of age and 6 months old! She is a blue roan.